DVDS Under $5 & Blu-Ray Discs Under $10 At The Online WB Shop! You are here: Home / Great Deals / DVDS Under $5 & Blu-Ray Discs Under $10 At The Online WB Shop! 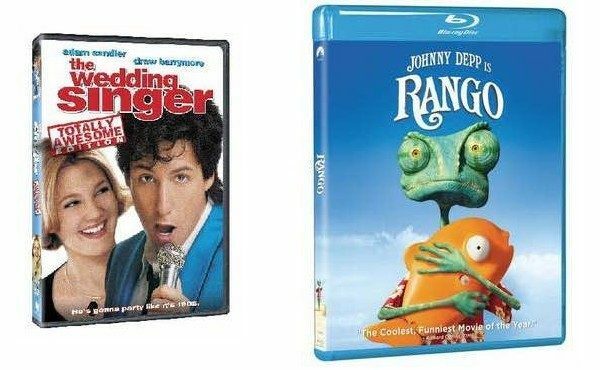 Get 80s Classics like “The Wedding Singer – Totally Awesome Edition” on DVD for only $4.89! Get current videos that your kids love like “Rango” on Blu-Ray Disc for only $8.59! There are thousands of movies to choose from in this sale: DVDS Under $5 & Blu-Ray Discs Under $10 at the Online WB Shop !